In-text advertising networks are the best advertising network in the blogging community, because they look like wordings (text) and clicked mistakenly by the visitors as well. This article will illustrate 3 best in-text advertising networks, through which you can maximize your earning with less traffic. Nowadays majority of bloggers are using Infolinks. Their way of displaying ads are different from other networks. Previously I have earned a decent amount of money from Infolinks on my other site. Well, according to my experience Infolinks are on the top in In-Text ads, because they are sharing their 70% of revenue with publishers. They are offering numbers of advertising programs, such as In-Text Links, Intag ads, Inframe ads and Insearch ads etc. Whenever you use this network, I will suggest you to use minimum 2- 3 In-Text links on each page, because they are offering maximum 12. 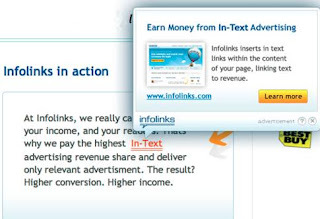 There are many in-text advertising networks but I like infolinks. Kontera is also known as Amobee. It offers variety of ads, like In-Text Ads, web ads, mobile content ads, content syndication and desktop ads etc. In-Text Ads are best amongst the other; you can use this platform to generate some money. You have to just sign up and activate your content with relevant ads from amobee. 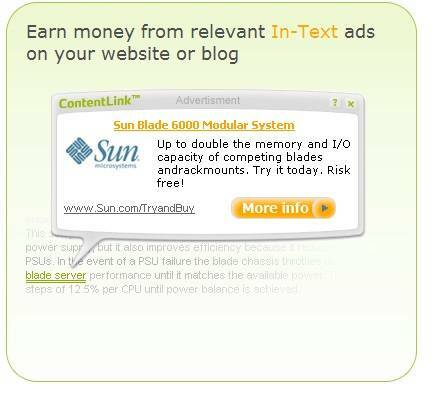 A part from in-text advertising ads, it got banner ads as well. 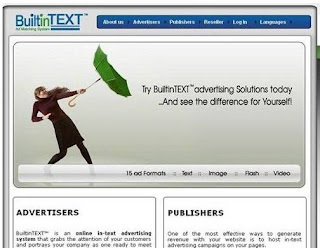 Builtintext is another in-text advertising network for the bloggers. It all depends on your CTR, through which you can maximize your revenue. It shares 30% of its revenue with his publishers. 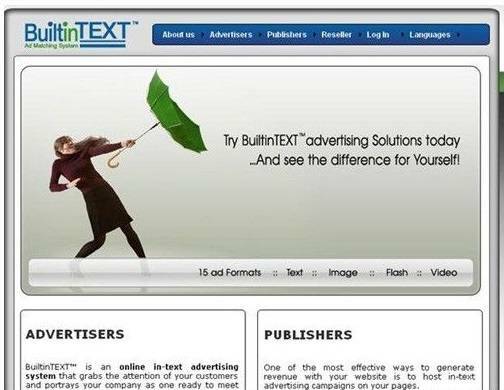 You can try builtinTEXT advertising solutions today and see the difference for yourself. Builtintext is specially designed for Blogger and WordPress platforms. Bloggerwits.net is a blog which is all about make money online. Where you can find tips and articles on Blogger, WordPress, Make Money Online, Blogging Tips, SEO and with lots of Blogger and WordPress Themes. In this blog you can read or listen to pod-casted articles.